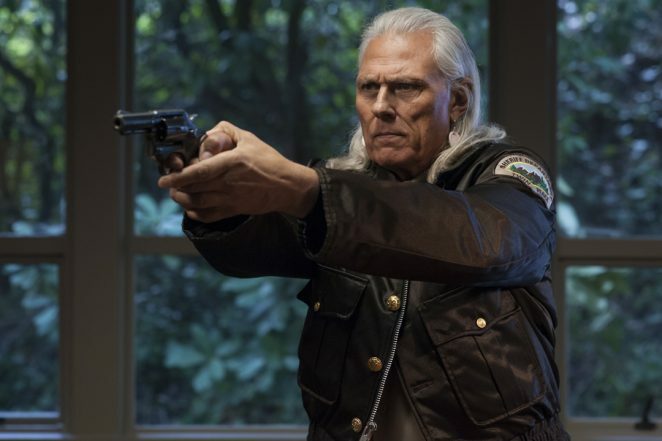 You’re either a fan of fantasy, horror TV show Twin Peaks or you’re not, there’s rarely any middle ground and If you are a fan, you’re probably obsessed with it! It all began with the discovery of the dead body of local girl Laura Palmer … on the edge of a small rural town’s lake … she was wrapped in plastic. From there, things proceeded to dive deeper and deeper into a dark, bizarre, sinister world full of secrets. The show was cryptic, frightening, and uncomfortable one minute, then equal parts quirky and fun the next. David Lynch, the creator has long had a reputation for making intriguing dark art and Twin Peaks was his masterpiece. We smirked at his wonder of everyday objects such as cherry pies, donuts and the town’s native trees, Douglas firs but cowered at the presence of the parasitic evil spirit that is Bob. It was the manner in which Lynch merged sound and vision, giving each element equal importance, that set this show apart from any other. 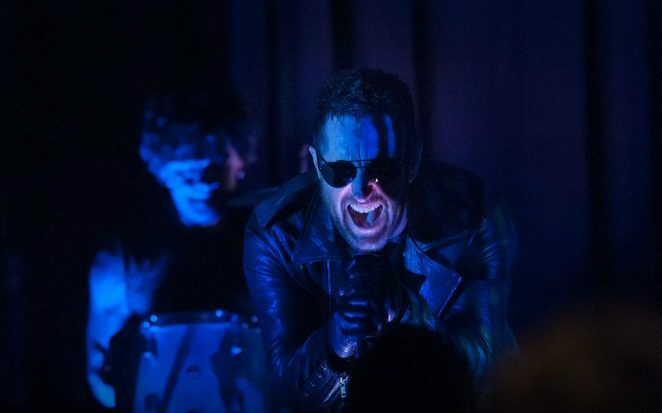 Whether it was the menace of the sight and sound a sparking power line swinging in the wind or the electric energy of Nine Inch Nails performing in the roadhouse, Twin Peaks was forever offering a sensory overload. It’s a show which raised way more questions than it answered, which is a perfect storm for an Australian Q&A tour by some of the show’s cast and crew, that will be heading our way in late August. 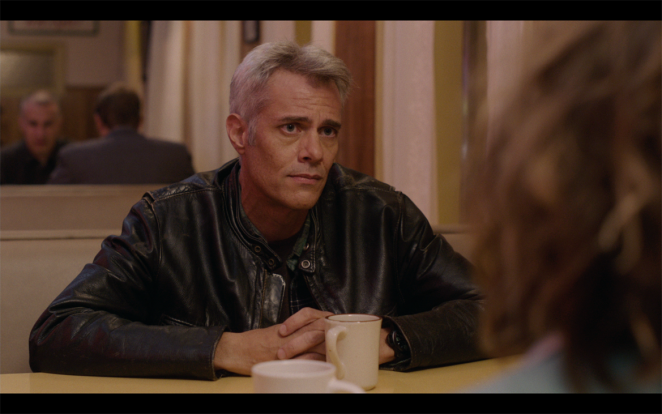 Participating in the Twin Peaks: Conversation With The Stars tour will be; Sheryl Lee (Laura Palmer), Kimmy Robertson (Lucy Moran), Michael Horse (Deputy Hawk), Al Strobel (Phillip Gerard), Dana Ashbrook (Bobby Briggs) and the Executive Producer of Twin Peaks: A Limited Event Series, Sabrina S. Sutherland. Ahead of the Australian tour, Australian Musician’s Greg Phillips spoke to Sabrina S. Sutherland and set the Q&A journey in motion with some questions of his own that he always wanted answers to. What was your journey into the movie business Sabrina? How did you get your start? I went to school for it believe it or not, and when I graduated, my first job was as a tour guide at Paramount Studios and that’s how I started. From what I understand you were a fan of the first series of Twin Peaks and were working in the industry on another show at the time. When you heard about a second series, you rang up and offered your services. Is that correct? Yes pretty much. I was working on another show and I watched it every week with other crew members. We could record it on VHS at the time and we would watch it while we were supposed to be working at night. I liked it so much that when our show ended, I called them up and was lucky enough to get the producer, who brought me in the next day. What are your memories of meeting David Lynch for the first time? Meeting David on that show was very different because he wasn’t involved as much. He came in for his episodes but he wasn’t around all of the time. I was introduced to him and it was hello and he seemed nice or whatever but no personal interaction. The very first personal interaction was that he yelled at me, so that was not so great. It can only go up from there right? I imagine that would be quite frightening being yelled at by David Lynch? Yes I felt really awful but it turned out that it wasn’t my fault, so he apologised to me immediately. He thought I had done something that I shouldn’t have done but I did what I was told to do. 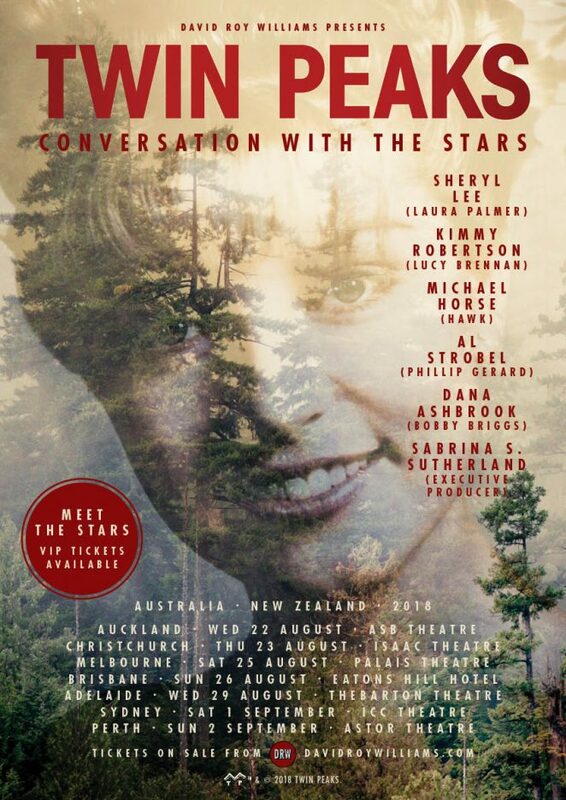 You and a bunch of the cast members are coming to Australia for a Q&A tour. Have you been here before? No I have never been to Australia. I have been to New Zealand. I went during college to work there. I worked on farms which I loved but never Australia and I have always wanted to so I am very excited. What will the format of this tour be? We’ll be going from city to city and we’ll be basically doing a Q&A interview type of situation in a theatre and audience members can ask questions and hopefully we’ll get to meet a lot of the fans. It’s difficult sometimes because of the distance, not to be able to talk face to face with people, so it will be really nice to meet some people I have met online and hopefully have answers to questions they may have. You have done similar things before. Do the audience questions surprise you? They do. It always strikes me how intelligent and thoughtful the fans are with our show, and I’m sure with other shows too but I only know with our show in particular. They tend to really think a lot, which I am sure David is very excited by because that’s really a purpose of his. It’s like art, you want to think about art, you don’t want to just explain everything to the audience, you want them to think about it and they do. They think and they come up with wonderful questions and it’s always interesting and some things come out of leftfield and that’s always fun. Angelo Badalamenti’s music was integral to the success of the first Twin Peaks, and the music has always been as important as the visual. What kind of discussions have you had with David in regard to the part that music plays in Twin Peaks? First of all I have to say with David, a film is a combination. It is fifty percent picture and fifty percent sound. He is one of the few directors who really embraces not only music but sound design, the whole audio transportation that a film will take on. It is something that is super important to him, so I knew that when we first talked … because I started speaking with David about it before he’d even written the script. There were some songs he already had in his mind that he wanted to use. He works very closely with Dean Hurley, who has worked with David for many years, to come up with new music. He told me first thing … again, before the scripts were even written that he wanted to have different bands in the roadhouse and he had ideas about how he wanted that to be. So music was vitally important to him. There were some great bands used in the last series, such as Nine Inch Nails and The Chromatics. What was the selection process for finding the bands to use in the roadhouse scenes and for the soundtrack? Some were bands he knew right off the top. He said … these ones I want. Others would be different musicians that he may have heard about and wanted to hear more or they were presented to him … like here are some possible musicians. Also Dean Hurley would bring in musicians that he knew of. It was always ultimately David’s decision who got to play but it was great, I really loved the roadhouse scenes. I love David’s Crazy Clown Time album that he released in 2011. On the album sleeve, he’s credited with playing guitar, percussion, omnichord and synthesiser. Did he contribute music personally to the soundtrack of the last series of Twin Peaks? There was music that he had, absolutely. Plus there’s all the music with Angelo… they create music together. It’s funny, you may not think of David as being musical, except maybe for you but a lot of people think of him as a film maker or maybe an artist but he’s a wonderful musician and has such an ear for music. It’s not only the music that it is important, David is very much about sounds in general … the wind, faulty electrical devices, power lines, birds fluttering. I know your brief went way beyond what an executive producer might normally do, did your duties also include helping David to find any unusual sounds? Not me personally. I was definitely there and able to hear all of the different things he would try out. So he’d say… I’ve done this. He’d put together a scene or something and he would ask for my opinion. Did I like it or didn’t like it? I got to just enjoy his work. With a lot of it though, he is very particular about what he likes and he puts most of those things together himself, as far as sound design. I know with music, he did the mixing. He’d ride the boards for the mixing of the music for the show. He was really hands on with a lot of this stuff. Would you call David a control freak? Does he allow others to shine through with their ideas? Yes he does and yes he doesn’t! David knows what he wants, he has a vision and my job really is to execute the work to create that vision that is on screen. So you bring in your creativity by providing what he is envisioning in his head, which is a lot of times very difficult to do. David was also involved in a Duran Duran concert video. How did that come about? I know that David had done a remix of a Duran Duran song (Girl Panic in 2011). Then a guy from CAA (Creative Artists Agency) had a series and this was one in the series. Duran Duran was asked to do it and they wanted David to direct. What makes David Lynch laugh? Everything. He has got a great sense of humour and he makes me laugh to tears. Everyday on set, either coming or going or at some point, I would laugh really hard. It is one of those things where it is really stressful work and we don’t always see eye to eye and it can be very tense but all of the time I was able to really laugh with him. That is one of his greatest gifts, is the laughter and being able to make others laugh. Do you have a favourite Twin Peaks character? No, I love all of the characters. I find all of them to be like my family. It’s funny because a lot of times you will see an actor … I’ll know an actor and you see them on a show and I just see them as the person. 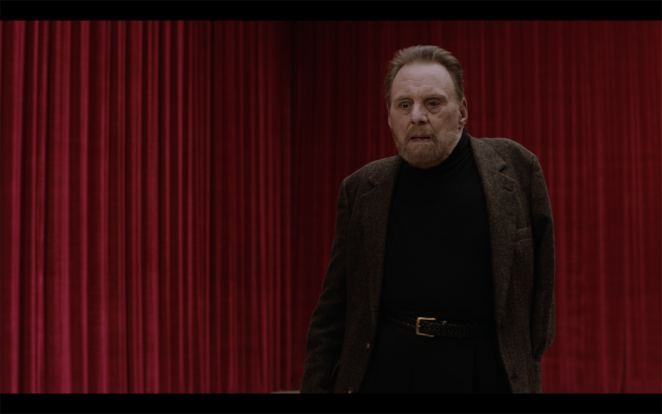 However, in Twin Peaks … I see the characters as characters and I don’t see them as people, just as the characters. To me it says a lot about the acting and I find something in each one that is so wonderful, even the evil ones like Eamon who plays Richard Horne … an evil, evil character but what a glorious character to watch. When you got to work on series two, you were such a fan of the show. Was there a moment where you first glimpsed David’s creativity and thought to yourself, there’s his genius? Wow, really everything about what David does comes across to me as being genius because he doesn’t follow the script necessarily. There will be a sentence on a page but then when you are realising it practically, it is nothing like that sentence, so I guess it would be the first time I saw him take what was written and see it actually being shot and how different it was translated. Each director can take the same sentence and you’d see something different on the screen. That David is able to do that, to me speaks volumes. David uses time as a tension builder. There’s a lot of hang-time on some scenes that other directors wouldn’t dare execute. He lingers on some scenes until they become uncomfortable. 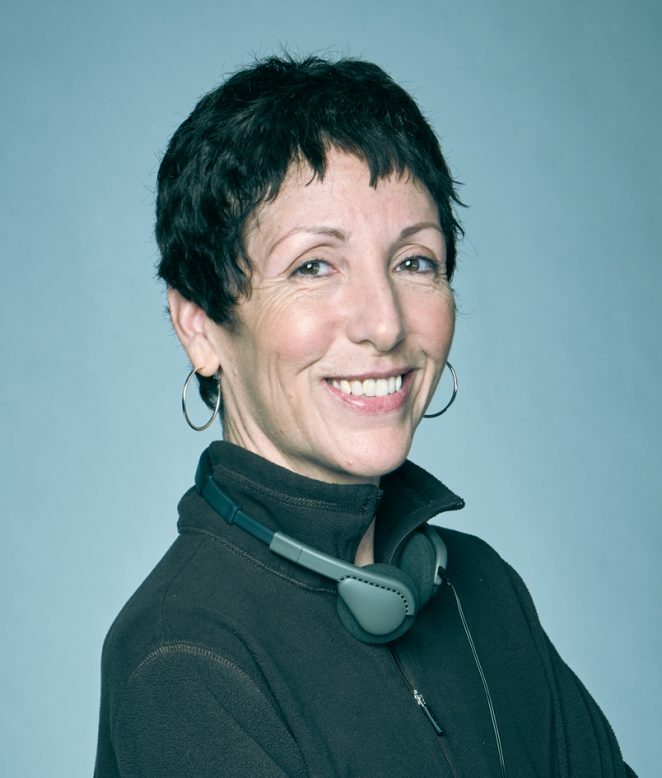 How many people would be involved in a decision on how long a scene goes for? Is that totally David’s doing, that tension building? That’s David a hundred percent. We have editors, multiple editors who would edit different things and after they had done their pass, David then went through everything and either left things as they were or tweaked here and there or re-edited or edited himself if it hadn’t been edited before. Every single frame of the show is David. A lot of what happens in Twin Peaks seemingly doesn’t make sense but in interviews David says it does to him and that’s all that matters. Were you sometimes left with unresolved issues with scenes or did you just go with the flow with David? I don’t know what it is, maybe it’s because a lot of the conversations we have are outside of what is written on the page. When I first started working on this project, the scripts hadn’t even been written yet, so he would explain things to me. He would tell me the story. We’d go through it like ten times before I even saw it on the page. So I think maybe I get it so much more and understand it. Nothing to me seems unexplainable. In my head, everything makes perfects sense. You were the producer of a documentary, David Lynch: The Art Life. What kind of things did you learn about David doing that doco that you didn’t know before you started? David tells these amazing stories so I don’t know if I learned some from that documentary…well maybe I did because he tells these stories of his life and it’s really fascinating. I think putting it all together and then they way they put the visuals and art to what he was saying, it brought more out for me. It is really fascinating for me to hear about his life, just because of the way he talks and explains things. He’s just a great storyteller. If I told that same story, it wouldn’t sound very good but the way he says it, I am sitting on the edge of my seat, I love it. Is David working on anything at the moment? He is painting right now. It is summer here and we worked so long on Twin Peaks, it was very stressful. We worked 7 days a week, 20 hours a day and that is no joke, it really was like 20 hours a day. It was very long and we needed a break. Unfortunately for him, he has a couple of art shows coming up at the end of the year, so he is painting to make art for those shows. Apart from the upcoming Australian tour, what projects do you have coming up? Well I work with David, doing other things. He has a line of art t-shirts and some merchandise stuff that I am working on. He has other businesses and other things that happen, so I work with him full time, which is a nice job. What’s the best part of doing a tour like this that you’re about to embark on? Honestly, it is meeting people, meeting the fans face to face. I know that there are a lot of fans in that area and maybe they have never had a chance to come to LA or the Washington festival, so it will be really nice to meet the people. We wouldn’t have a show without the fans.